Burlington - Bradbury Estate Realty Inc.
Money Sense Magazine rates Burlington as the "Best mid-size place to live in Canada" (Click here for article). 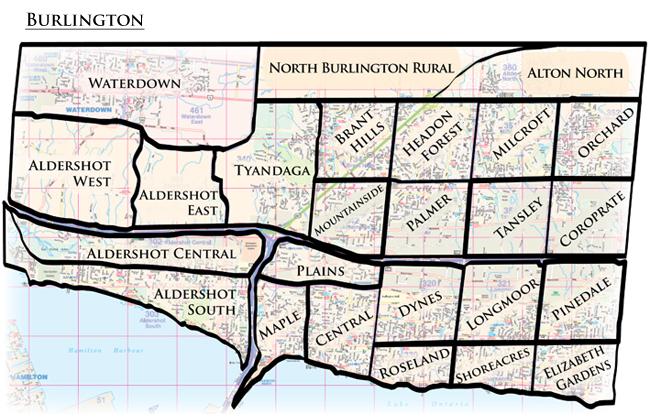 Burlington has 25 unique and beautiful neighbourhoods to choose from. Click on the map below to find out more.